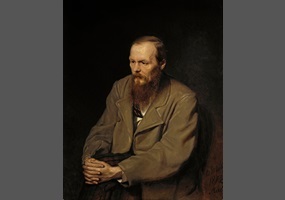 In Dostoyevsky’s classic, The Brothers Karamazov, Ivan Karamazov, the Russian author’s symbol for the scientific, rational, Western outlook, wrestles with the problem in the title of this article; without God, everything is permitted. Since then, this proposition has been used in countless discussions to justify belief in (typically the Christian) God. At least a part of its appeal for the religiously inclined lies in the near instant assent it tends to evoke. If there is no God, and therefore no higher Authority to dictate to us what our ethical rights and obligations are, how can we have any? We need God to ground morality. In this article, I will challenge this claim. Pleasure is good, suffering bad. Could any statement be less controversial, or more obvious, than this? In fact, it is so intuitively obvious that it appears as the foundational axiom for religions (Buddhism), moral systems (utilitarianism), and some areas of science (psychology), as well as underwriting the way we interact with and think about other people. But is it possible we are at least partially wrong about this fundamental human preference? In this article, I will explore just this possibility. 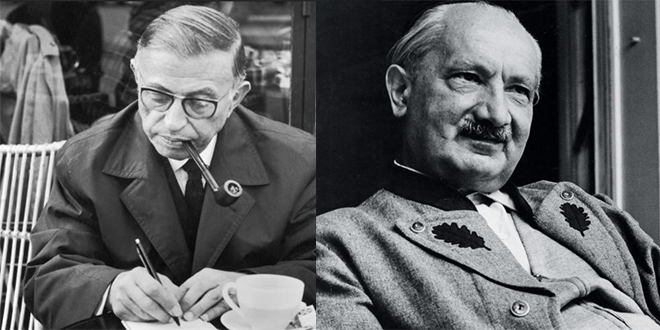 Martin Heidegger and Jean-Paul Sartre share much in common. In addition to the fact that both were heavily influenced by Edmund Husserl’s phenomenology, while Sartre was a prisoner of war in World War II, he read Heidegger directly, finding much that would later make its way into his own writings. However, despite the similarities, their overall aims (and therefore the arc of their respective philosophies taken as a whole) were very different. This means that these shared themes and concerns sometimes appear with slightly different nuances in the two philosopher’s writings. This article will identify and briefly explore some of these ideas. Is matter real? Do objects only exist in the mind of a perceiver? 18th century philosopher, George Berkeley, answered ‘no’ to that first question and ‘yes’ to the second. 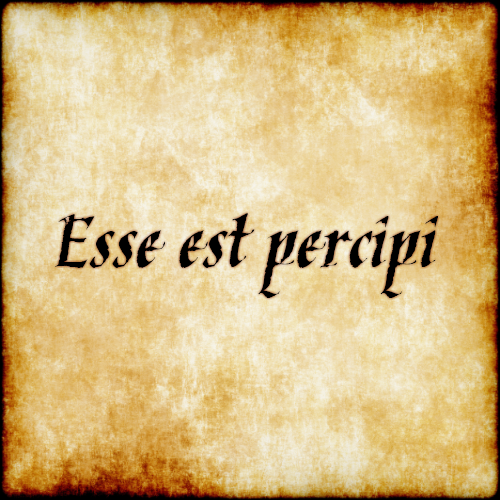 In his A Treatise Concerning the Principles of Human Knowledge, he claimed that esse est percipi, or ‘to be is to be perceived’; a thing only exists if a mind perceives it. Berkeley’s idea seems unlikely today and even in his own era, he had a hard time finding converts. While tempting to ridicule, especially in the specific form Berkeley imagined it, there is nevertheless the glimmer of something deeply insightful in his philosophy. In this article, I will try to convince you of this. Dan Dennett’s 1992 article entitled “The Self as a Center of Narrative Gravity” (available online here) is one of his earlier attempts to argue that the self isn’t real; specifically, that it is a fiction created by human beings who don’t know any better. The route he takes to get there is a somewhat jumbled, confused batch of mixed metaphors, semi-relevant thought experiments, and false implications. In this article, I will try to unravel the tangle Dennett gets himself into and in doing so, resist his conclusion. Imagine you were to die tomorrow. Would you have lost anything? Galen Strawson doesn’t think so. In one of Strawson’s short essays, “I Have no Future”, which appears in his book, Things that Bother me Death, Freedom, The Self, etc., he makes a claim he calls No Ownership (of the future), that our future experiences don’t belong to us in such a way that they’re something that can be taken from us. In other words, we lose nothing if we die because we never had anything in the first place. In what follows, I will briefly outline Strawson’s argument before critically discussing it. Morality is concerned with right and wrong, good and bad. While there are a number of different moral systems and they all justify their values in different ways, few of them disagree on exactly what those core values are. Whether kindness is good because it maximises happiness or because it’s what a virtuous person would do or because we can will that it should become a universal law, no moral system worthy of the name ‘morality’ goes so far as to question the value of kindness itself. This is where Nietzsche comes in. 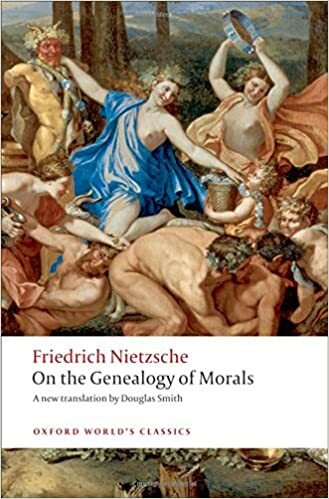 In his On the Genealogy of Morals he does just this, calling our values into question by attempting to uncover exactly where they come from and, in the process, showing us that, far from tenets carved in stone we are beholden to, they are contingent rules we have ourselves devised. In this essay, I will outline and critically discuss a few of the key concepts from the book.